Today I want to address a question I have been asked so many times, what is better Shopify or BigCommerce. The answer isn’t that straightforward, even many say the Shopify is better for Bigcommerce that might not be true in certain cases. 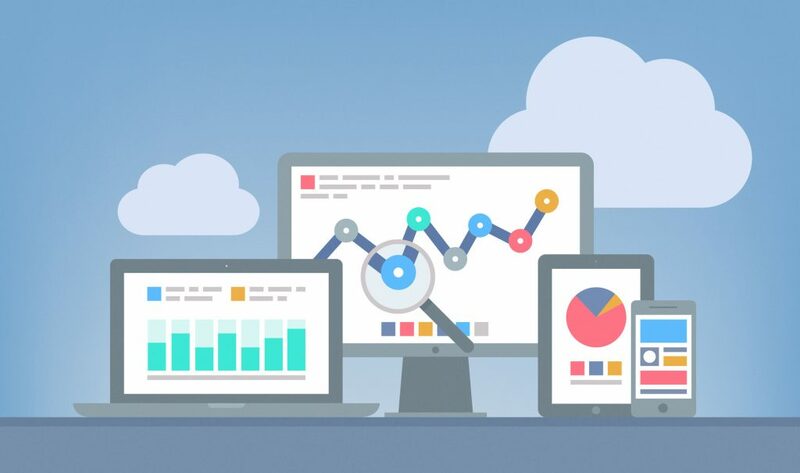 To start let’s analyze each platform strengths and weaknesses, let’s start with BigCommerce. I am expecting that you already know what Bigcommerce is, if not you can check our BigCommerce guide, here. So let’s get into the Pros and Cons of Bigcommerce. But the reality is a bit different, Bigcommerce admin area feels super outdated. It is super complicated to do simple tasks and I understand that they wanted to give every single option accessible to the users but the menu and UI could be modernized. One of the super good points is that at least the templating system has been modernized not long ago. This means that web developers like me we can work with themes way easier using modern technologies like SASS. Also, if you are intending to use Mailchimp as your main email sender for the transactional emails like the order confirmations, be ready to find loads of issues because in my experience it won’t work that easy and you will get frustrated and end up working with the mailing system provided by BigCommerce. Overall, I think it is a bit expensive for how old the admin area feels. Also, the app ecosystem isn’t that good. Shopify is the most used e-commerce platform today. This is due to its simple yet powerful admin UI. That is easy to use but also easy to remember. I think is the WordPress for the e-commerce CMS. Shopify does have more free themes and apps as well as paid ones. So, this means that whatever feature you are looking to get, you will be able to find it with Shopify App store. Shopify is the way to go for small shops. It is easy to use, easy to manage and a great platform to start your e-commerce adventures. BUT WHICH E-COMMERCE PROVIDER IS BETTER? The task of choosing which of these top ecommerce platforms isn’t a very easy one. And the reason is simple; each seems to be quite unique in its own way and have their pros and cons. While one platform could be perceived as being incredibly easy-to-use and well-suited to beginners, the other may be more versatile and even easier for advanced users. But this, notwithstanding, there are a couple of different other ways to examine these platforms if one is to arrive at a fair conclusion. First, it is important to consider the fact that Shopify is powerful, simple and user-friendly. Its stores are estimated to have sold approximately $4 billion worldwide in 2014 alone. And while you are stunned by that amazing record, you should also know that BigCommerce has well over 56,000 store owners on its platform, and has processed about $3 billion from over 14 million transactions. So, you will agree that BigCommerce isn’t around for jokes, either. This is the customers’ first point of contact with the website. It ultimately forms their first impression of your store. The appearance of your e-store matters a great deal, and Shopify shines here! By leveraging themes and templates from independent designers, Shopify ensures that your e-store features the unique, one-of-a-kind that commands the desired attention. Thus translating in lower bounce rates, higher time-efficiency on site, and improved conversion rates. The flipside, however, is that while some themes for free, some others are paid; having a price range between $80 and $200. This, notwithstanding, is only a fraction of the cost that you would usually pay a professional to design your website. BigCommerce also has a great collection of free themes to choose from; about a hundred, and a few dozen premium themes that are mobile-friendly between $120 and $250 range. But, comparing how Shopify and BigCommerce perform in appearance, it is evident that Shopify has more features, updated designs and a better median price point than BigCommerce. When comparing Shopify with BigCommerce or other e-commerce platforms, one of the unique functionalities that readily gives Shopify an edge is its versatility. Whether you are selling online, or managing sales within a brick and mortar store, Shopify is built to serve you. All Shopify stores have access to unlimited hosting, tons of great template designs to choose from (with no design or coding required), customizable options for your store, a secure checkout, as well as its instant and flexible payment acceptance for Visa, MasterCard, Discover, and American Express. BigCommerce, on the other hand, offers one of the most comprehensive sets of business tools out there for selling online. An area, and, perhaps, the only area where BigCommerce falls short in its comparison to Shopify is in its inability to process secure payments on-site, offline, or in person. BigCommerce is, therefore, not a good fit for anyone who wants to do brick and mortar transactions or take payment for services on the go. Competitive carts with unlimited online storage, bandwidth, and products. There seems to be a tie there billing and contract as well; both offering relatively the same free, no-credit-card-required trial periods. And at the end of the trial, you are at liberty to pick any plan of your choice and continue selling. And if you choose to cancel, you are not charged a cent. There are, therefore, on par with each other when it comes to contract terms. The only key difference is in the discount offer. Shopify offers more, for long-term commitments. 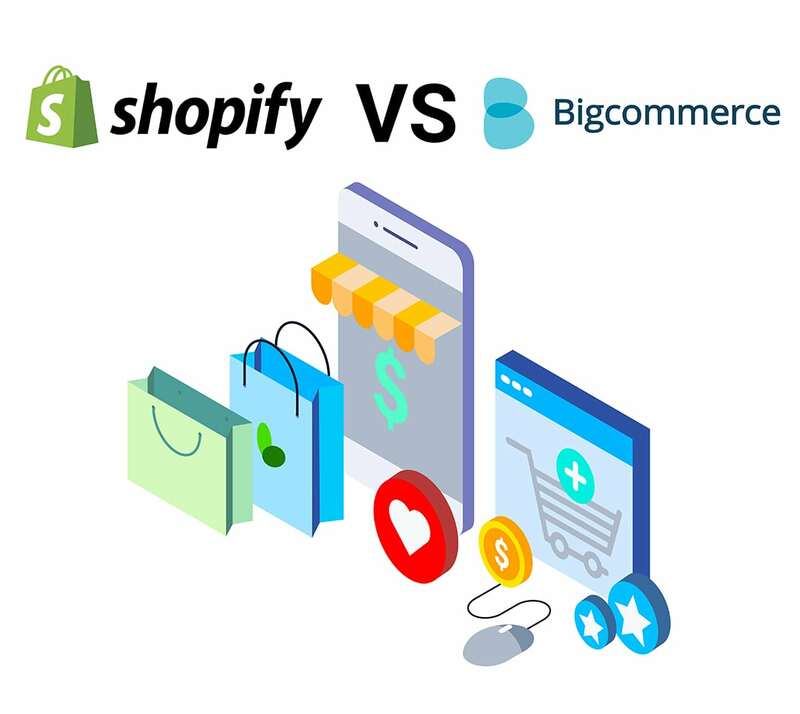 Comparing Shopify with BigCommerce, at surface level, it may seem a bit hard, at first, to tell the two support teams apart because they are both exceptional. A closer look, however, gives details of how the Shopify support team nails it. Shopify is respected for their top-notch support teams that are available 24/7 through the phone, email or online live chat. And they are considered the best in the industry! Although BigCommerce is great at walking even a newbie through some general knowledge of e-commerce and account setup, the Shopify’s library of resources is undoubtedly far more superior in the ease with which it provides simple, step-by-step instructions for professionals and first-time store owners alike. Shopify, indeed, does a great job in how it helps even less experienced users develop their e-commerce skills, quite rapidly. 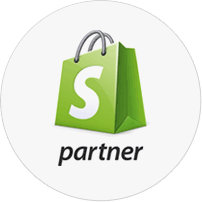 Shopify is, undoubtedly, an elegant e-commerce solution that encompasses all the as versatile and customizable business features that you need it for. It can go to all the places and do many of the things BigCommerce wouldn’t. When it comes down to comparing flexibility, great design, and overall ease of use, therefore, Shopify comes out tops for a lot of our clients at Albiesoft. Its strong library of resources and accessible support system is amazing! Perhaps your business sells exclusively online, and you prefer a platform that handles basic things like dropshipping, then Shopify might just be a better fit for you as includes great tools like Oberlo.